Through Aavaz, the user can get live agent monitoring, Integrated Voice, CRM, Marketing, Lead, Support on dialer, setup their PBX and IVR in few minutes. Using Aayaz's powerful technology, utilize de-duplication, report on everything, call recording and tracking. Voice is a very important customer touch point, for sales, marketing and support but has always been expensive and has always suffered from poor track-ability. Aavaz Communications provides world class cloud based call centre solutions across the globe. It delivers enterprise call-centre product suite for cloud and traditional setups. With its simple setup process that instantly powers professional inbound and outbound calling at no additional infrastructure requirement, Aavaz enables new revenue, streams and savings.. Capture lead categories, appointment follow up & lead classifications with Aavaz. You can assign contacts and lists by any which way your business process needs- territory, industry type, alphabetically, by income, or anything in between! Reporting on these metrics are also very easy with our detailed and summary excel reporting. 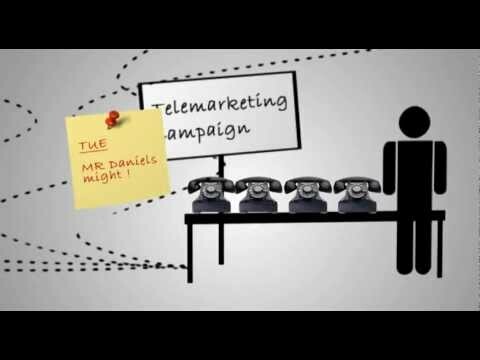 How many times have your callers forgotten to call a prospect back at an agreed upon time? That’s valuable data and sales that you might be throwing out the window. Aavaz was made for this type of scenario- not only do we have a cross-campaign tab for ALL call backs- we also have call back alerts. Aavaz has limitless options available for you to personalize and tailor your campaign to your (or your client’s) exact needs. From scripts, surveys, custom dispositions, custom fields, emails, documents, IVR—we have thought of everything you might need to have a successful calling operation. The number of reports you can pull out of Aavaz are really quite impressive. Once you download the data, you can view and review it in as many ways as possible in order to get the most out of your campaigns, callers, list vendors etc. Aavaz provides reporting anywhere from basic summary reporting to detailed call reports for Lead Generation, Event Attendance, Inbound Reports, Direct Sales and misc. Built in Lead Management could be anything from adding a new lead- editing the lead’s info, detailing out more information about an existing lead, following up on a lead or assigning it to another level of callers that are designated to pick up leads and convert them to sales. Aavaz is designed to keep things easy and efficient. From open ended answers to multiple selection questions- Aavaz also offers a versatile programmable survey option. All these questions are stored in our Survey Question Bank for as long as your account is open with us so you don’t have to keep creating new surveys every time. This is not only a time saver- but also- from a research standpoint- ensures consistency. Along with great usability, Aavaz understands that you might have your own work flows. We can (and have) partnered with a lot of our clients to customize workflows if deemed necessary. Call us- we’re up for anything! This is just ONE example of just how flexible Aavaz is. With YOU in mind- whether you’re doing retail, wholesale, inventory or anything in between- you can insert price levels to arm your sales people with bargaining power. Aavaz is a product that is used across industries. A term that is used by the real estate agent will not be the same for a science research survey for example. We understand that- and for that reason- have the custom field feature for your convenience. Aavaz: a web based, virtual, outbound calling interface/solution for a small, medium and departmental based business. Aavaz helps you to streamline your calling process and increase your productivity. Aavaz is an outbound telemarketing solution for small and medium sized businesses like yours. Aavaz lets you effectively manage your telecalling activities in an effective & efficient way by managing your leads and following up on your prospective customers. Q. How will Aavaz benefit me? Aavaz helps you increase your caller efficiency. It will make sure your callers are calling more contacts in lesser time which will reduce your overall cost. Aavaz features like de-duplication helps you remove duplicate contacts thus saving your callers confusion and your leads frustration! Also since its a virtual solution, it gives you the benefit of hiring talent you wouldn’t otherwise consider despite their exceptional abilities! Many of our clients use Aavaz with virtual callers. Finally, you only incur cost as per your requirements. There is no infrastructure cost as you can create virtual call centers. There are no setup costs, no additional hardware costs. Q. How secure is Aavaz? Aavaz assigns you your own dedicated server therefore your data is not shared with any other client. Reports can only be run by managers therefore callers do not have direct access to your data. If you, as a company, need more security on your data we will be providing a static IP so that you can access Aavaz from the place you want to. Q. How large a contact list can Aavaz handle? There is no limit. You can merge multiple imported contacts into a single big list. If you have a bigger list to upload, please contact us directly and we will help you set that up. Q. Can I track inbound and outbound calls? Yes, you can track your inbound and outbound calls using Aavaz. Additional to this you can also do continuous live agent monitoring of all your calls.